Want to give a treat to your Halloween haunted house guests? Random Sound Board is the perfect trick for the occasion. 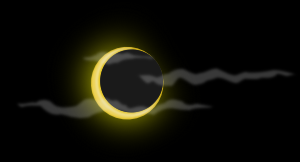 Just give it a directory full of spooky sound files and Random Sound Board will play them randomly. It is like a robot standing at a horror sound board, pressing random special effect buttons at some interval. With Random Sound Board, you can also specify a random interval between sound effects. 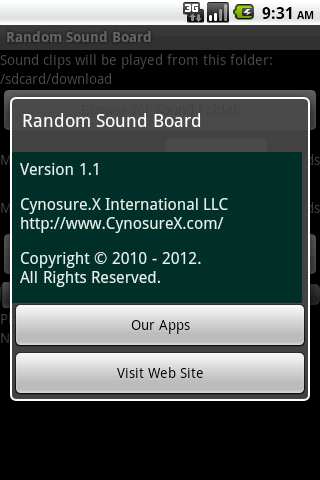 Random Sound Board is available on the Amazon Appstore: Random Sound Board . See Change Log. To use it, you'll have to put some MP3 files on your Android device. In Random Sound Board, browse to the directory containing your MP3 files. Select that directory. 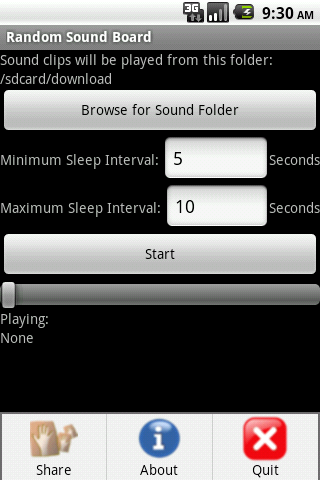 Next, change the minimum number of seconds to wait before playing the next sound file. 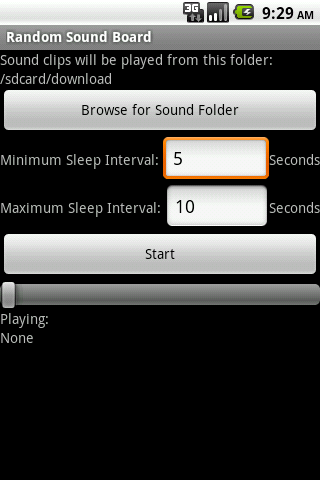 Then, change the maximum number of seconds to wait before playing the next sound file. Random Sound Board will pick a number between the min and the max randomly. If you want a fixed interval, just set the two number to the same thing. Finally, press the "Start" button to start the random sound clip playback.